New York Insiders, September’s #HeinekenGreenRoom is here! If you missed Kari Faux at last month’s Heineken Green Room, check out the Meet n Greet video! 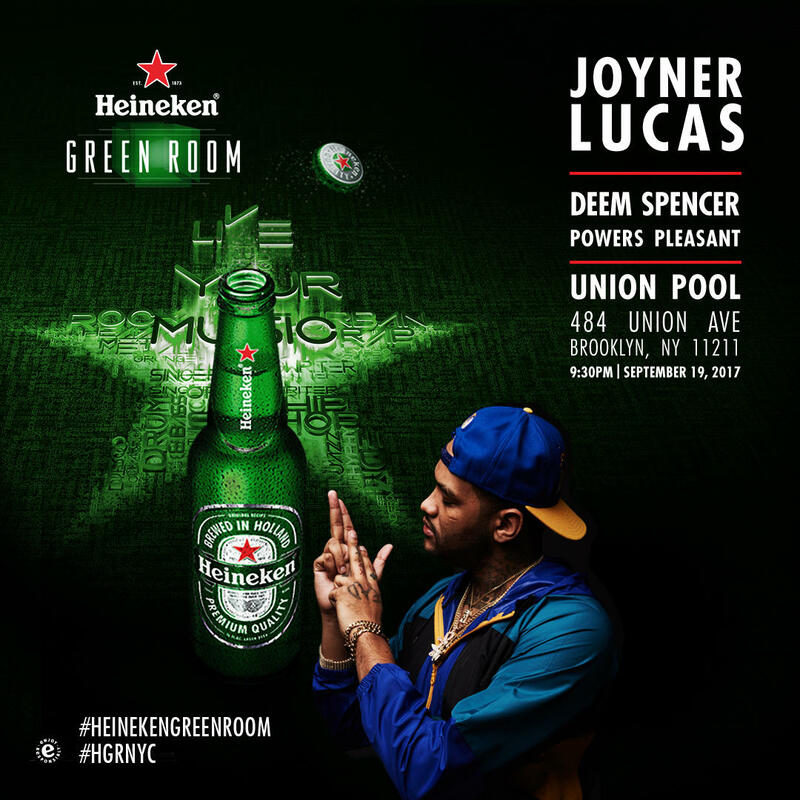 Please join us when Joyner Lucas takes the stage at Union Pool. Fresh from the release of his debut album 508-507-2209, get up close and personal with this emerging star whose words and flow combines clever autobiographical storytelling with authenticity earned from rapping since his childhood. Join us early for opening sets from Deem Spencer and Powers Pleasant. Remember, this event is open ONLY to Heineken Green Room Insiders. Insiders must RSVP by September 17th at 5pm.